Motorola unveiled many of its upcoming phones this year in CES. Droid Bionic was one of them. This phone is made for the Speed, as the Spec sheet of the Phone already suggests that. It has got a Dual Core Cortex-A9 processor of 1GHz and 512 MB of RAM. This is a 4G enabled device which will not let you down while browsing the Internet. The Phone runs on Android Froyo v2.2 and it has got support for HTML 5 and Adobe Flash 10.1. Droid Bionic has got 4.3 inch if QHD(540 x 960) Display. So that’s really a good thing about it. 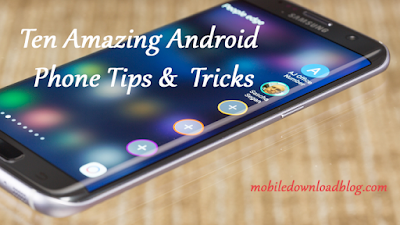 You can watch all sorts of videos and pics on the phone quite comfortably and browsing experience will also be good. You can also play some cool games on this phone and you can also play FULL HD(1080p) videos as it has got ULP GeForce, a 3D Graphics Processor. The highlight of this phone will be its speed but its camera is no far behind. It has got a 8.0 megapixel camera with a Dual-LED Flash which can take still pictures up to 3264x2448 pixels. Camera has also got features like, Face Detection and Geo Tagging. Well not just still pictures, you can also record 720p(HD) videos with this phone. It has also got a secondary VGA camera. So this device will not let you down while you are on a video chat with your friend. Skype, the video chatting tool, comes pre-installed in this phone. You can also download your chat video after your video conversation is over. The other main feature of this phone is its HDMI port. Yes, it has got a mini-HDMI port on its left side. With the help of this HDMI port you can connect your FULL HD TV’s as well as other TV’s. This helps you to watch the content on a big screen. You can watch all sorts of videos and pictures on your TV. It isn’t just limited to pictures and videos. If you play any game on the phone, that can also be viewed on your TV Screen. Talking about other features of the phone, it has got a 3.5mm audio jack. The internal storage of the phone is 16GB and you can extend it up to 32GB via microSD card. It has got Bluetooth (v2.1 with A2DP) and Wi-Fi (802.11 b/g/n DLNA) support. It has also got A-GPS support. Phone comes with a battery of 1930 mAh but it’s still unknown how long will it go. 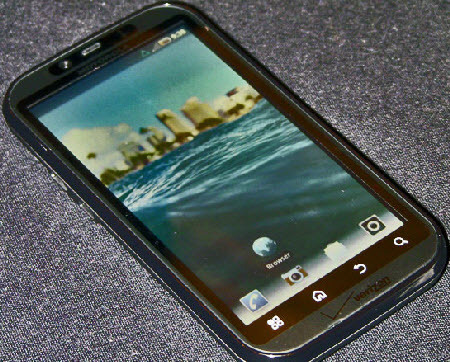 Motorola Droid Bionic is all set to hit the market and we have got our eyes on it. The phone will come in the Q2 of 2011. So get set for this one.